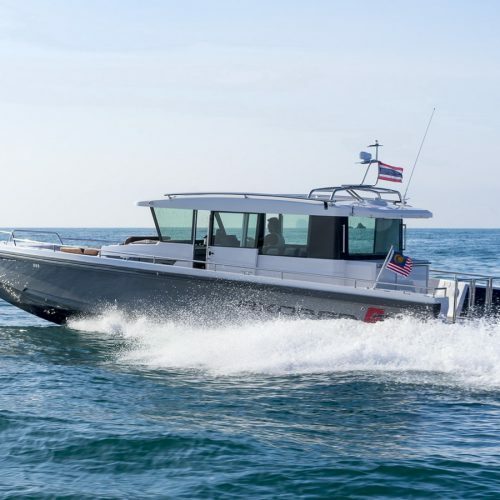 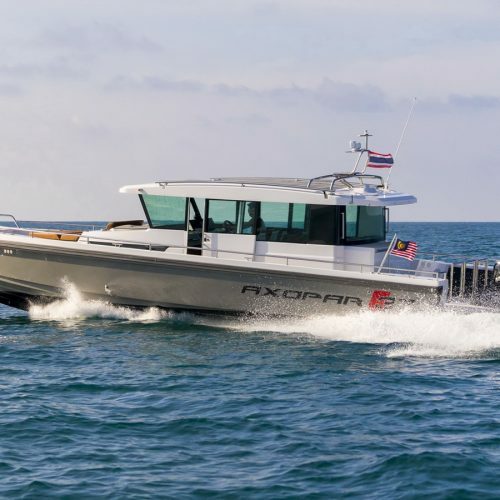 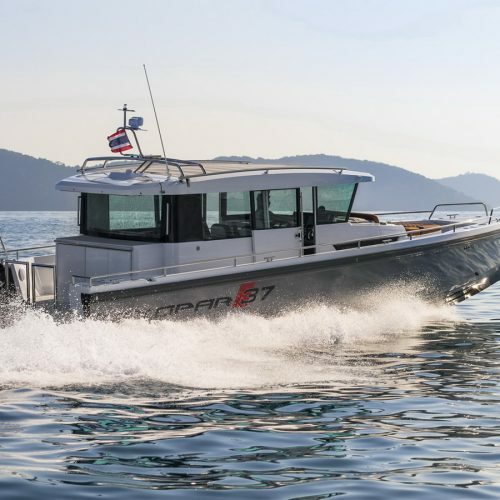 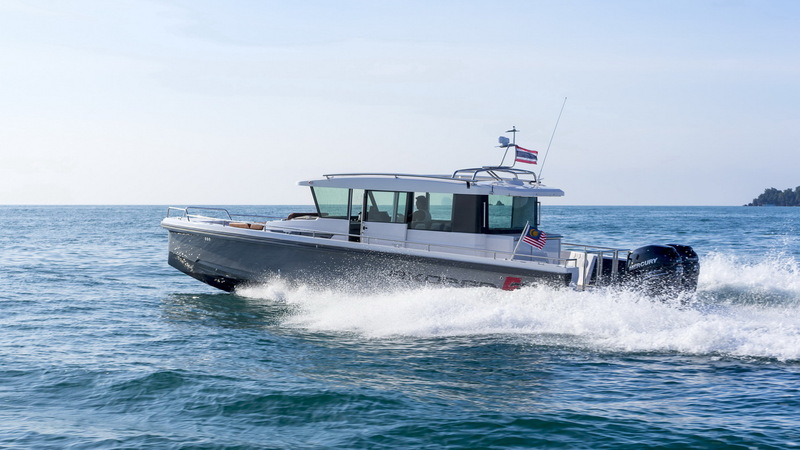 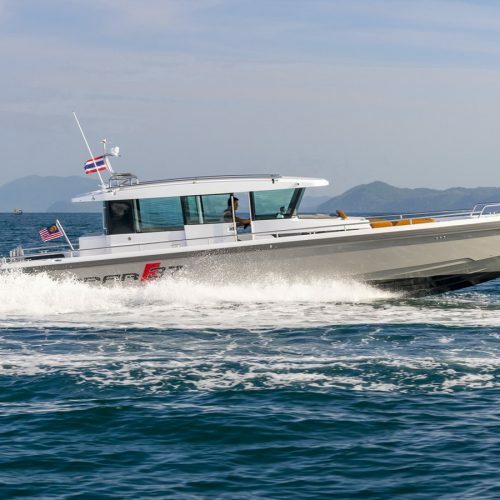 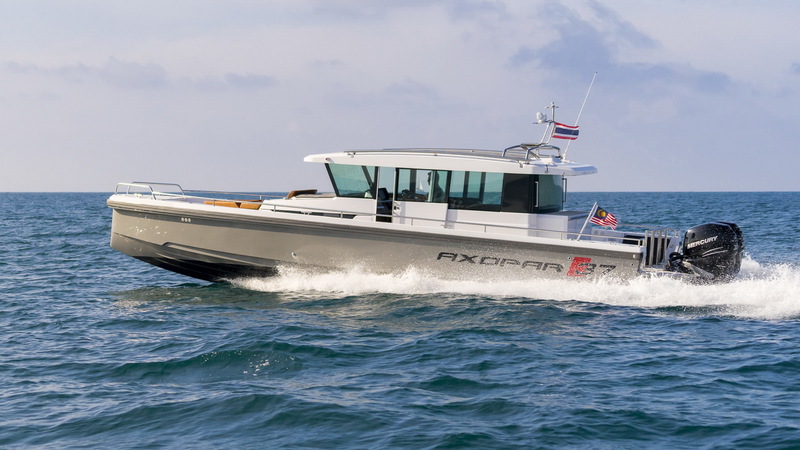 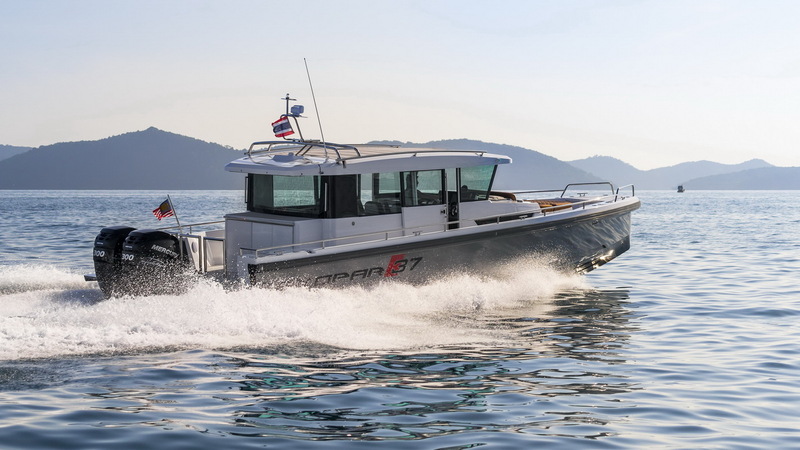 Extend your on water experience with the spacious Axopar 37 Cabin, a fully enclose-able cabin with twin large sliding doors and a sliding canvas roof to meet the diverse weather conditions out at sea, combined with the hulls responsive handling, comfort and safety. 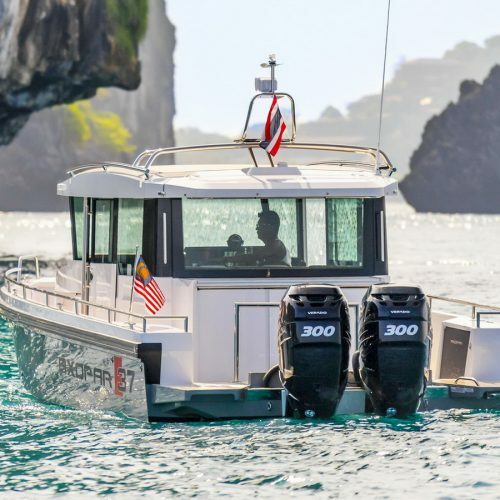 This highly adaptable model has ample space for fishing and other activities on the aft deck and a large sociable sun bed on the fore deck. 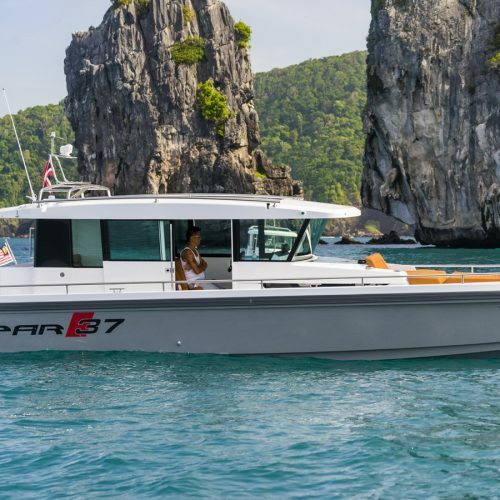 A convenient cargo hatch on the foredeck enables fast and easy stowage of all your gear straight into the front cabin from the deck. 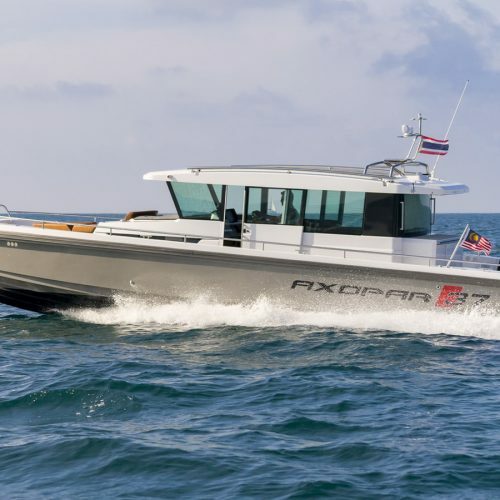 The Axopar 37 Cabin excels with its bright and spacious cabin with seating for up to six people around a large table in the saloon. 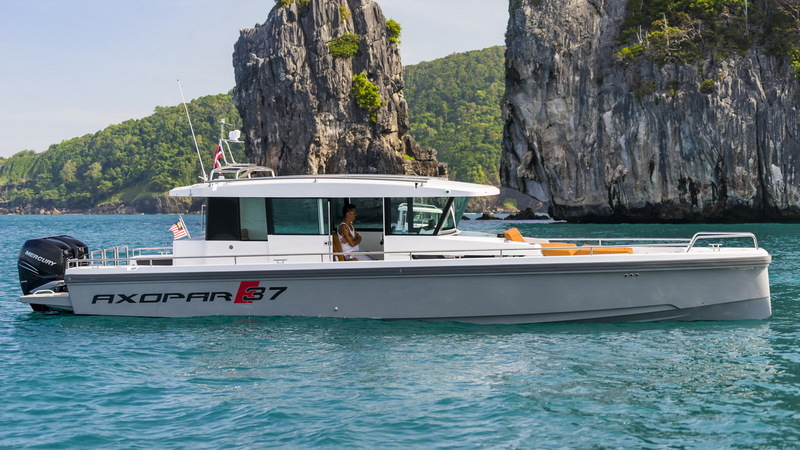 The cabin/saloon also features a large storage compartment under the sofa. 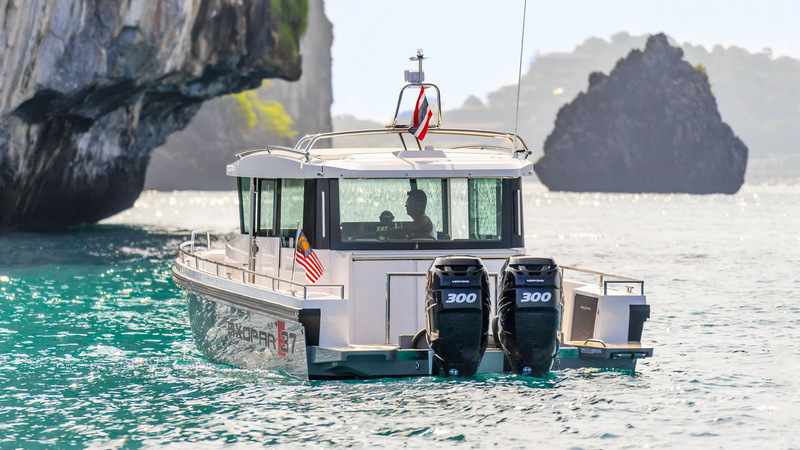 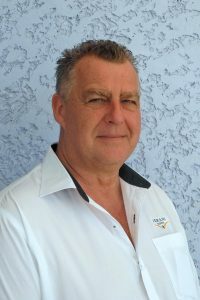 There is also an aft cabin available as an option for those who want accommodation for 4 persons in total. 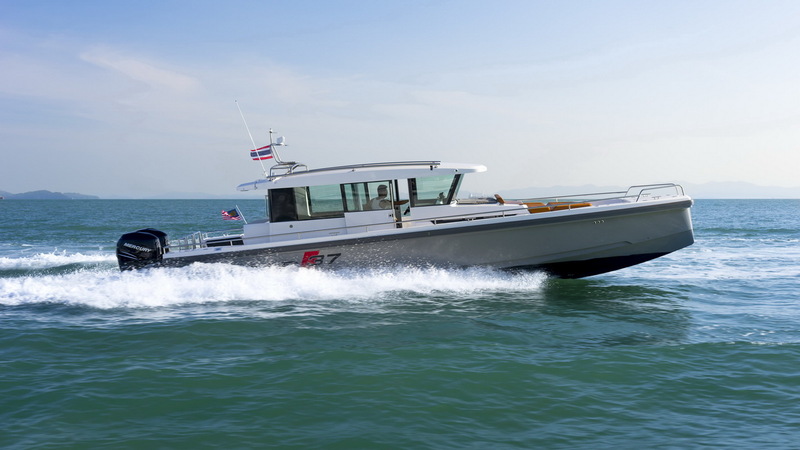 Another feature of the aft cabin is its roof which can be equipped with optional sun cushions. 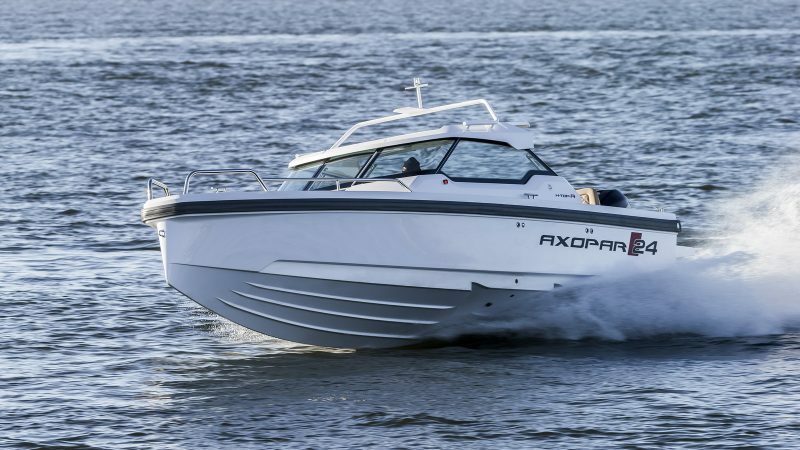 The Axopar 37 Cabin features a large, comfortable L-shaped sofa in the back of the cabin. 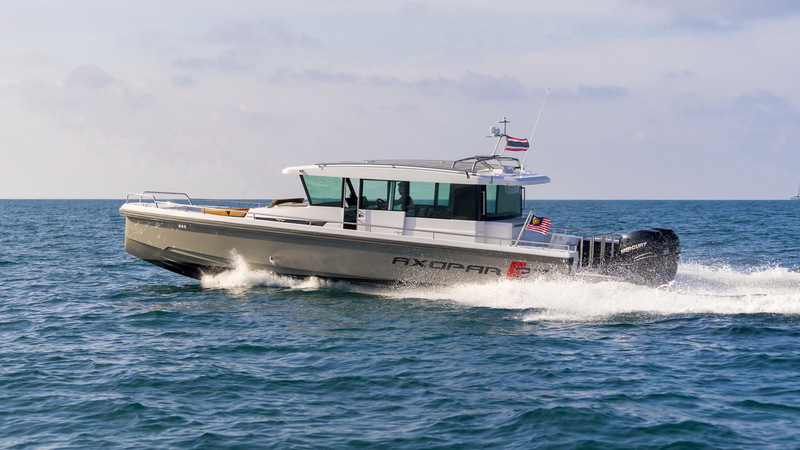 There is an optional kitchen package available with a 50 litre refrigerator under the co-pilot seat in the saloon and a sink / gas-hob unit integrated into the cupboard in the front cabin. 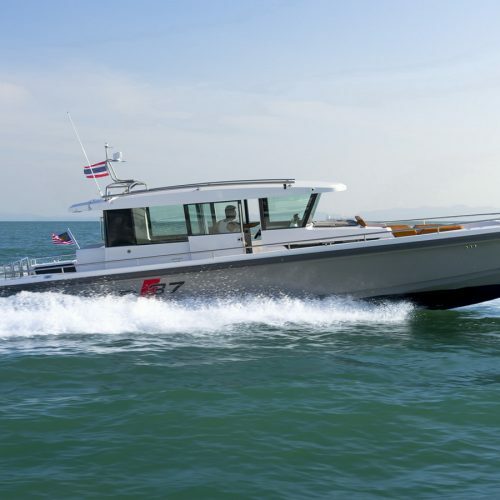 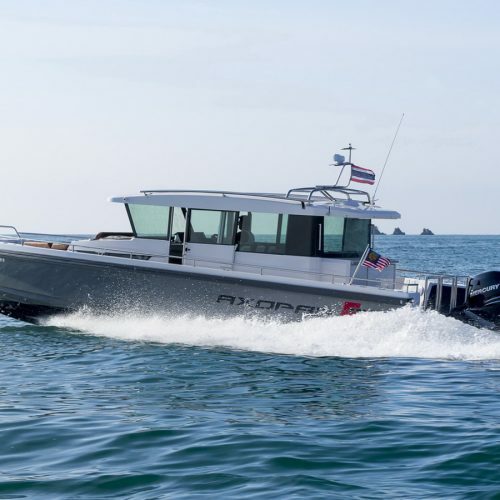 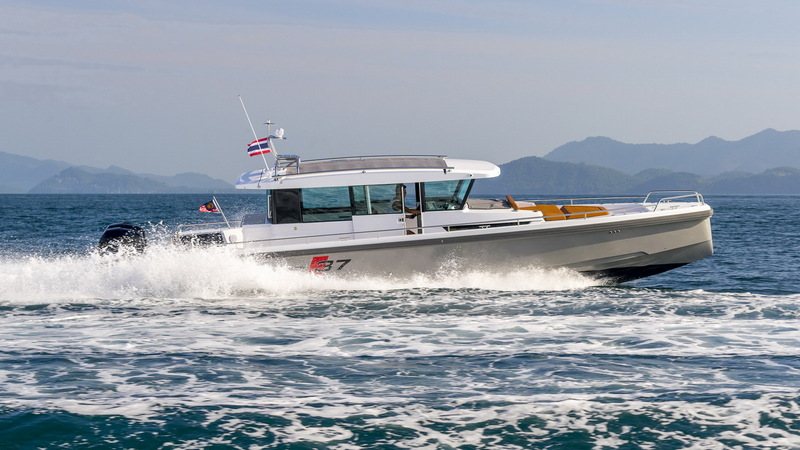 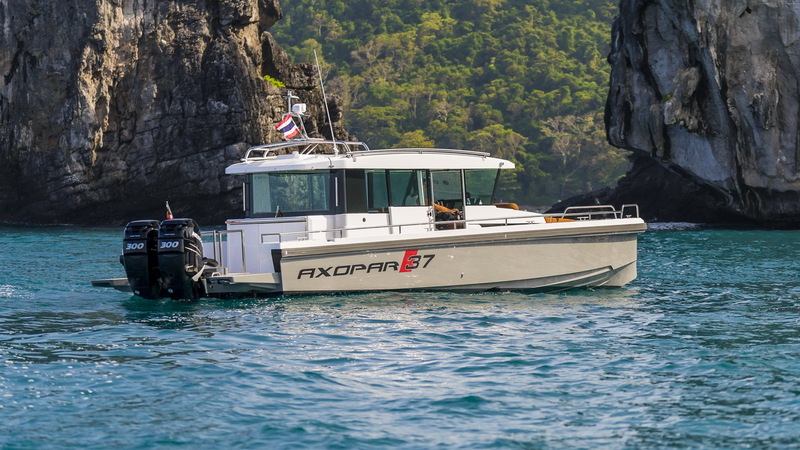 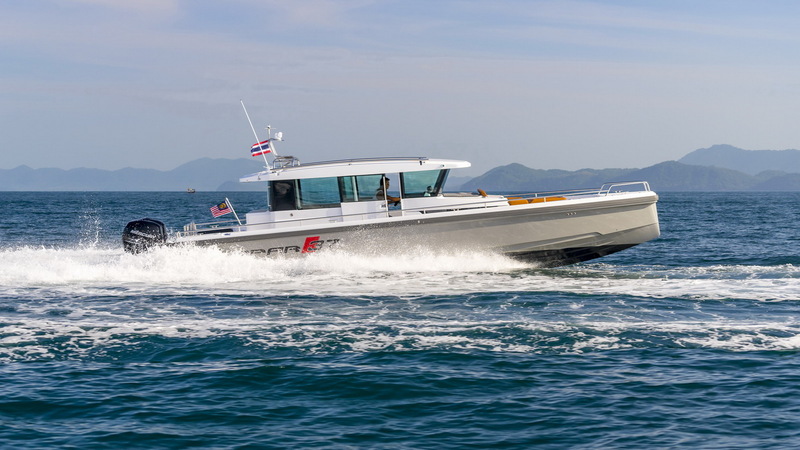 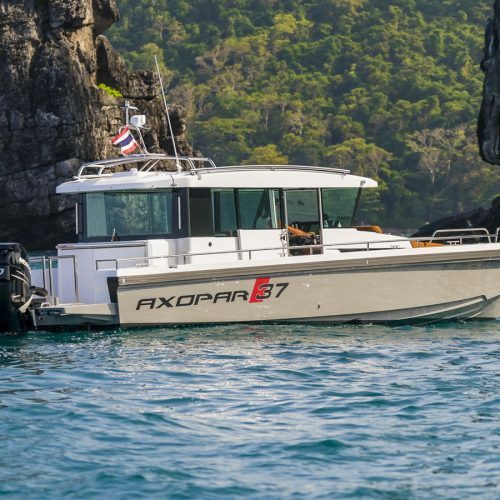 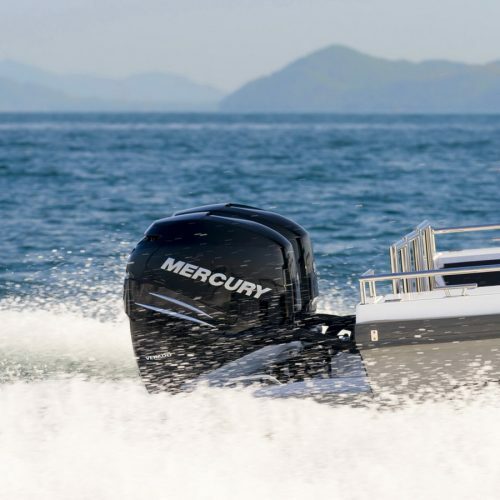 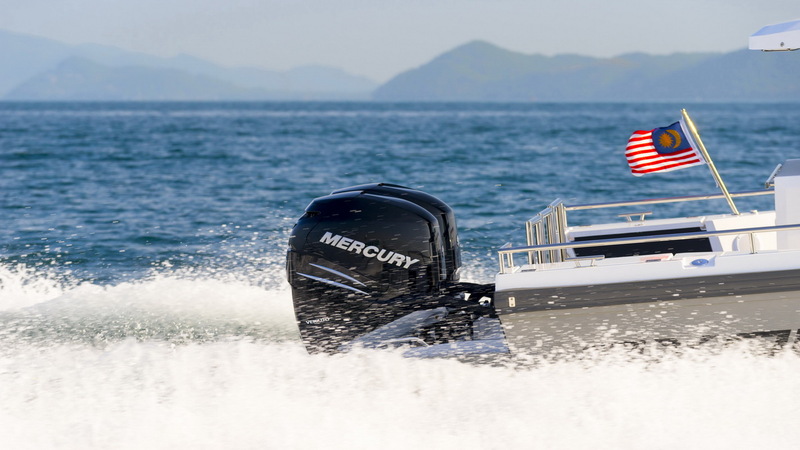 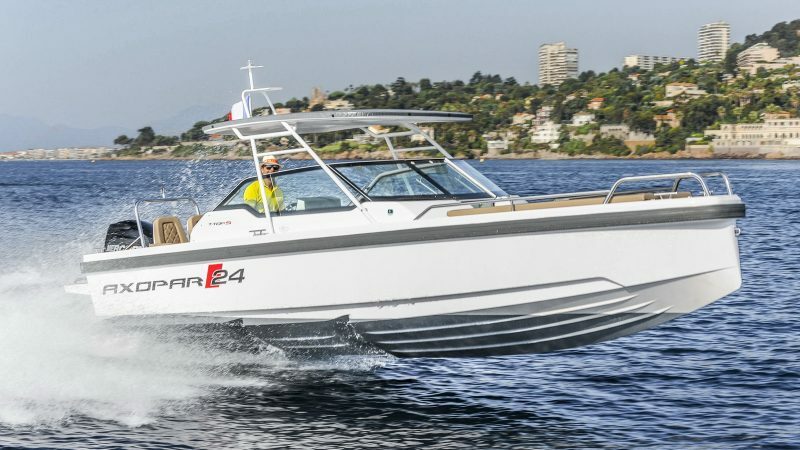 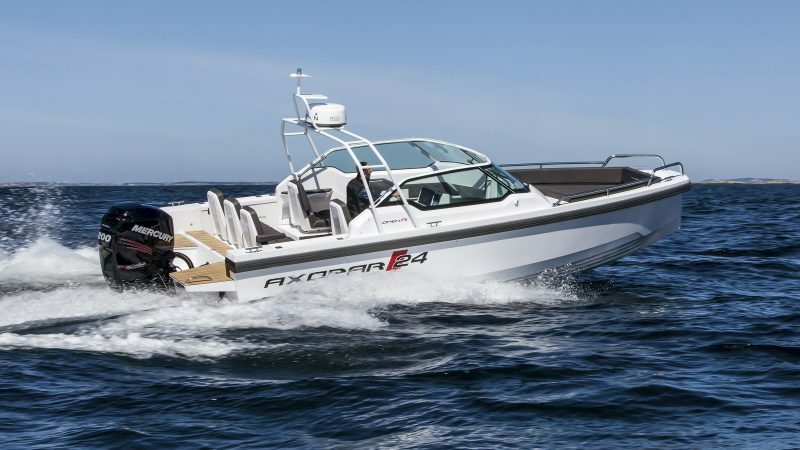 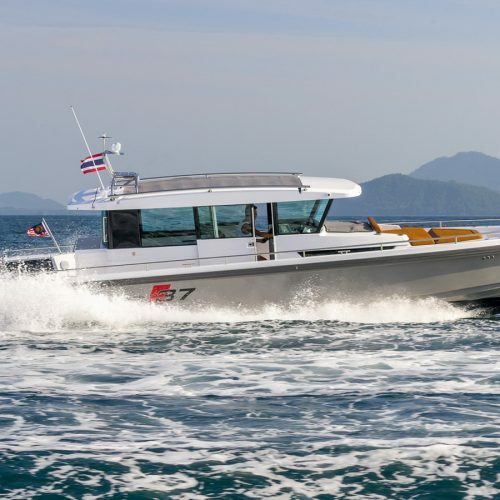 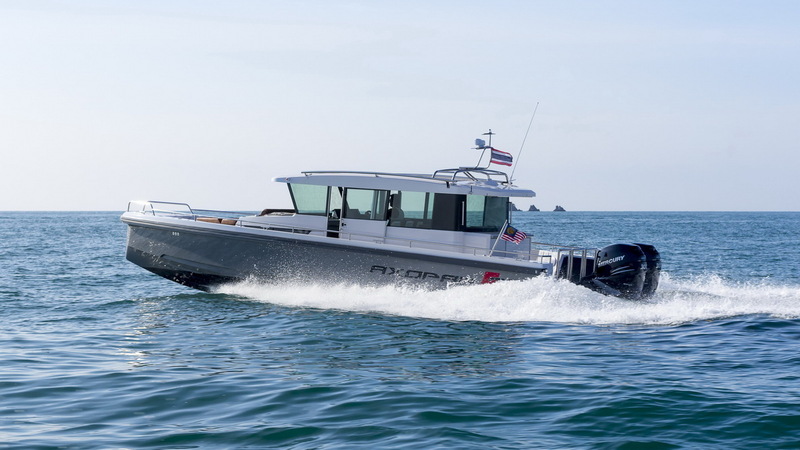 Whether for island hopping, fishing or just unwinding with friends and family you’ll love the Axopar 37 Cabin.